We have a new gallery with loads more photos of our wedding flowers, bouquets, flower workshops and events flowers. Please have a look! There are still some photos to be added and some Tweaks to make but will get there within the next month I hope! Thanks for visiting Flora’s Garden. I have been getting ready for the Duston Show this Saturday – we shall now be selling vases, candles, flowers arrangements and gifts. I think it will be great fun to get out in public and promote the business – sometimes it’s hard not having a shop window so this is perfect! Check out my attempt at painting a banner…not toooo bad! See you Saturday! Flora’s Garden in the Park! 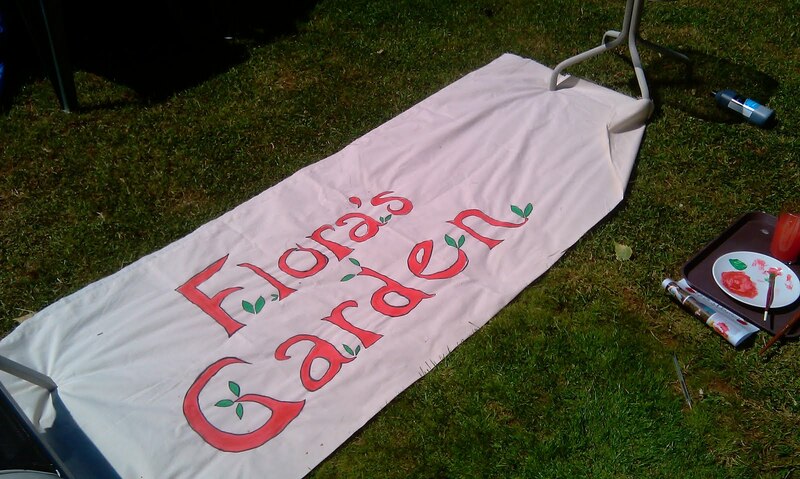 Flora’s Garden will be selling at Duston’s annual ‘A Day in the Park’! I am very excited about this and promise to provide an eye catching display of colour and style! Come and check out the stall, make some purchases and enter our competition to win a free delivered bouquet worth £50. Don’t miss out! See you there….